Certificat Cadeau au Bagni Spa Station Santé. 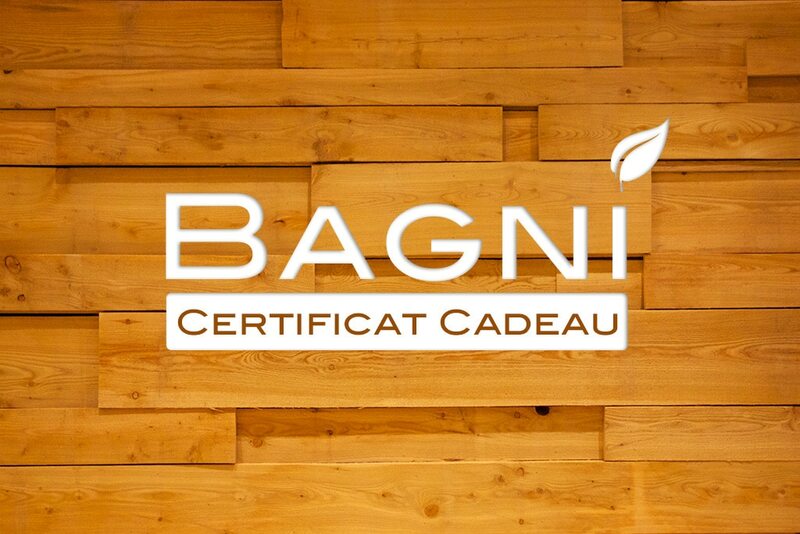 At Bagni Spa Station Santé our priority is your well-being. We offer you a warm atmosphere in the heart of nature with an attentive team offering you fresh fruit upon arrival, purified water and unlimited tea. We are proud of our team of experienced massage therapists offering quality massages where the priority is to get you off the hook. Our Health Bistro is open at all times with seasonal cooked meals. AT BAGNI SPA … WE STOP TIME FOR YOU.